Great Colleges To Work For Program > Blog > 2017 Great Colleges Announced! 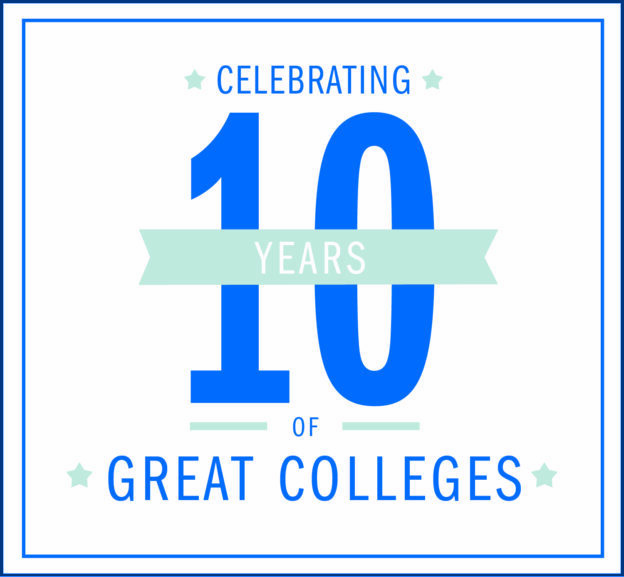 Now in its tenth year, the Great Colleges to Work For® program continues to provide vital data about employee engagement at colleges and universities across the United States. The partnership between The Chronicle of Higher Education and ModernThink LLC has been bringing higher educational leaders valuable insights into fundamental workplace qualities since 2008. This year, 232 institutions took part in the program which surveys faculty and staff to determine the key factors that distinguish great colleges. Of those participants, 79 achieved acknowledgment in one or more of 12 recognition categories, reflecting essential themes of great workplaces such as Shared Governance and Senior Leadership. Discover more about our data and what makes a college or university a great place to work in this year’s supplemental article in the Chronicle of Higher Education publication and see the full list of recognized institutions. If your institution missed the opportunity to survey this spring, connect with us now to learn more about the 2018 program, other survey options, and ways to leverage our survey and benchmarking at greatcolleges@modernthink.com or 302-764-4477. Are there any colleges that participate that do not get recognized? Thank you for your comment. Less than 1/3 of total Great Colleges participants are recognized each year. Every institution that participates is eligible for recognition in 12 categories of workplace excellence, and can be recognized in more than one category. Recognition is split between 2 year and 4 year institutions, and each of those categories is further split by institution size based on student enrollment. This ensures fairness between institutions of varying size and climate, and every institution is individually judged on a combination of factors across various areas of workplace excellence. For more information about the recognition methodology please visit our methodology page, https://greatcollegesprogram.com/methodology/.